Will HTML5 change the future of web design as we know it? When HTML5 is finally released in July 2014, it will change the face of the internet. This was recently reaffirmed by Designer and Consultant Jen Simmons who spoke at Event Apart, an annual design conference which this year was held in Chicago. In her speech she said that, “HTML is more than paving the cowpaths. There's a lot of stuff in the spec about databases and communication protocols and blahdiblah backend juju. Some of that stuff is pretty radical. And it will change how you design websites." In the near future this means that HTML5 will allow designers to think without any restraints and use this new technology to change the way that users interact with the web. This is because there are a whole host of technologies which web designers will need to be aware of and these include HTML5 APIs and beyond. What will HTML 5 change? While still in development at present, when it is finally released, HTML5’s core aims will be to improve the language of HTML, provide support for the latest multimedia while being simple to use and compatible across all computers and devices. This completely new version of HTML will mean web browsers will have to support it to correctly display web pages using HTML5 functions. The changes that HTML5 will bring include increased speed due in part to removing the extra elements needed inside the actual code. This means that in a HTML5 browser, no extra information is needed to render the same content on a screen, as it will already know what needs to be shown on the screen, using a more concise amount of code to show this. Another advantage of HTML5 will bring is providing web technology which no longer relies on Flash for watching animations on websites. The new HTML5 will provide a more efficient means of drawing and animating objects. As the web is becoming more mobile with many people accessing the internet over their smartphone, there are multiple problems with viewing Flash files as they tend to load very slowly. This could soon be a thing of the past as it becomes easier for servers to load, so downloading files won’t take as long to parse the information. Simmons says that all these developments will allow designers to “Break from design’s past in order to fully take advantage of its future”. As the internet is becoming increasingly more app based, this could open up a whole new world of opportunities, allowing people to rethink the way that content is created. 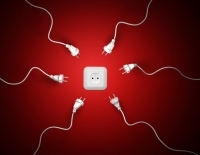 Which data is most important for capturing lead generation data? A recent market research chart from MarketingSherpa.com analysed a range of top form fields from a variety of their respondents. Their findings from a collection of lead generation data discovered that ‘the selection of form fields on the landing page can potentially affect volume and quality of conversions’. So if for example on your landing page on your website, you include too many required fields, the number of leads generated will fall. This happens because many potential prospects might not be interested in providing a lot of personal information, due to it being time consuming or because they’re worried about how it might be used. The leads that do provide their information into these fields will usually be of a better quality, allowing you to capture this data more effectively and gain a broader prospect of who is using your website. Ultimately this will allow you to use appropriate marketing techniques to target your prospective audience. Similarly if you don’t include enough fields, then the quality of your leads will suffer but it means that you will increase the volume of prospective leads who will share their data. At the top of the chart for example, was email address with 96% of respondents indicating this is the most important field for capturing data and as a means of staying in contact with their target audience. In second place was the lead’s name with 89% of respondents claiming this was vital information. This is because most landing pages need to capture a lead’s name and email address for the basics of profiling their audience and addressing them appropriately. In contrast the least important fields for collecting data were considered to be budget (17%), website (20%), key pain point (23%), timeframe for purchase (24%) and mobile phone number (24%). So what should you choose; quality or quantity? Ideally you want a high number of quality leads but interestingly, the MarketingSherpa article found the criteria that counts the most is the one that relates to the most lead-capture optimisation. This was highlighted by the MECLABS Conversion Heuristic which found that the largest response was to email addresses and names but after this, there was a significant drop (by 38%) to the next category at just 51%. Today’s consumers are used to doing multiple things at a fast space, so it seems logical that many would abandon a lead generation form if it asked for too much information. Time is precious and capturing as many leads as possible is vital, but it shouldn’t be at the expense of not fulfilling the lead’s basic needs. It also depends on the context and type of business you’re running. For example in regard to the bottom of the chart, many of these fields would be included on niche sites such as business and consulting web pages where specific information is required so that the client’s request can be handled properly and provided with an adequate solution. A recent survey by Monitis, a cloud and web app monitoring company found that many online shopping websites are not fast enough with new data providing warnings that many consumers have cancelled their orders due to slow response times. Findings from 1006 online shoppers who were polled by Opinion Matters on behalf of Monitis, found that 56% of those taking part, when quizzed about website response times, spent more than two hours a week shopping online and admitted they had cancelled an order if the response times were slow. 74% of respondents also believed they would switch to a competing online shopping site if they felt they could have a better user experience and the website was a lot faster than the one they were currently using. Other important findings from the survey found that in 81% of respondents, the number one reason for choosing to shop online was to make purchases instead of shopping at stores in the high street. 61% also found that price was the most important consideration when it came to choosing what to buy online. Meanwhile 61% of online shoppers might leave a web page and search for a competitor whose site doesn’t take longer than 30 seconds to load. What does this mean for online shopping during peak season? With the festive season approaching, online retailers (vendors) will need to ensure that their websites are providing shoppers with an efficient user experience which is efficient, but the onus is on the web developers and designers to avoid downtime as the holiday rush approaches. This is particularly important as for online stores, their success is solely focused on the minimum threshold of their uptime; so for every moment their website is down, they lose sales. 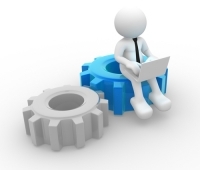 One of the ways in which an online vendor can ensure they make good sales is to have sufficient developers working on the system for maintenance in case the website goes down. Another option is to ensure the website is easy to access and highly usable, as 56% of respondents to the Monitis survey indicated that when comparing one retail site and why they went to another instead to do their shopping, website usability is an incredibly important factor, second only to price and reputation. Online vendors should also have a good idea of the best time to shop online and according to the survey, 9 a.m. to 5 p.m. is the most popular according to 40% of all respondents, while 32% preferred to do their online shopping in the early evening, between 5 p.m. and 8 p.m.
All of these factors are things which a website vendor should take into account when thinking about how their visitors use the site during peak times, when demand for online shopping is high. Sub-optimal performance and a poor customer experience can result in transaction losses, so businesses need to learn how to optimise their website and strengthen their online stores for such occasions. 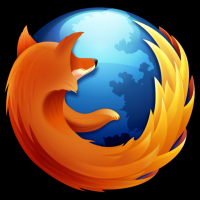 The release of Firefox 17 by software developer Mozilla offers many new features, many of which offer numerous performance improvements and an integrated preview of Firefox’s impending integration with Facebook, known as Facebook Messenger for Firefox. This social integration in the form of a social sidebar, will form part of a social API which will in the future support other social networks. The Facebook Messenger for Firefox app is completely opt-in, meaning that once you visit the Facebook Messenger for Firefox page and turn it on, you’ll see a social sidebar onto which you can receive Facebook chat and updates, comments and photo tags. There is also a ‘Like’ button in the URL bar so you can like pages and share websites that haven’t yet added their own. Other key features of the Social API include giving web apps, news feeds and document editors a more permanent position in your browser’s window. By Mozilla choosing to extend their Social API they are moving the position of social websites away from tabs and into a social sidebar so that you can browse any number of internet pages while staying in touch socially on facebook, without having to switch tabs or even log in. What does this mean for the future of internet browsers? It means that other social websites such as Twitter might follow something similar, allowing for easier integration between social networks and browsers. It could also form the focus of other websites who start looking for ways to tap into the Social API by building tools which will enhance their presence and communication on the internet. In regard to privacy, Tom Lowenthal of Mozilla’s Privacy and Public Policy team says that, “Nothing will change in regard to the privacy of your data”. Although facebook is tracking what you do, it doesn’t mean that the site has access to any additional information present in your browser. It’s the same as whether you’d logged into the site without any of the new social features. Another important element of Firefox 17 is that it marks the second “Extended Support Release” (ESR) which is a version of Firefox from Mozilla which is a community-led project. It allows organisations to benefit from the speed, flexibility and security of Firefox while getting the support they need. The ESR is designed for groups who deploy and maintain the desktop environment in large organisations like universities, schools, county and city governments as well as businesses. Web developers will also find that it has many additional tools such as HTML editing, while the Style panel now allows developers to manipulate styles on a page. The new Style panel can do this same thing and work in real time with the document object model (DOM). It also gives greater access to rewriting any website copy as the live previews means you can quickly edit ideas without going into HTML templates or opening a text editor. Does the internet need a new web development model? Since its formation, the internet has undergone numerous changes, the most significant of which is the change from being a system-centred database to a user-centred system which focuses on the needs and demands of customers. When the internet was created it was designed as a virtual library, where if you didn’t find what you wanted you carried on looking or just gave up. During this period, users rarely complained if they didn’t find what they wanted. During the 90’s, the web developed into a new era known as the ‘Transaction Internet’ phase. The internet was no longer used for just finding out new information but for carrying out functions which would’ve previously been done on the telephone, mail or in person. These type of transactions expanded so that users could get new accounts, make payments, contributions, get licenses, permits and all other kinds of transactions. By developing the internet for use in this way, the user-driven web was born and by 1999, the web refocused its efforts from being based for designers and managers to shifting its accessibility to users and consumers. This change meant that users had control over what kind of content they wanted and they demanded systems which functioned how they wanted. Designers had to change their approach to web design and development to make it user friendly. Is a new development model needed? According to a recent article by CMS wire, the internet has developed dramatically since the 00’s and over a decade on with user demands increasing and organisations adding more transactions to enhance their presence on the web, it might be time for a new web development model to come to fruition. The web system community has been looking to the business system community because of their proven methodologies for developing and providing a stable presence for their brands. A big reason for this is that the user content on the web is nowhere near as predictable as in business systems. The web system community has tried to apply system development tools to any tasks they have, but the results have often been less than hoped for. Increasingly this is because while these methods work, new challenges are arising as a result of failing to meet core assumptions based on these methods. Business systems are designer controlled meaning they offer a more professional insight into how to make the web system successful. Web based systems in contrast are often controlled by their users or providers of the information. Business systems are internal and designed to make the system successful, whereas web based systems base their ideology on building the necessary support into the system, based on whatever the user requires. What does this mean for future web development? A combination of the best of both business systems and web user driven systems is undoubtedly the way forward. Providing rigor into the system could ultimately improve the user experience while appeasing both the providers and users.